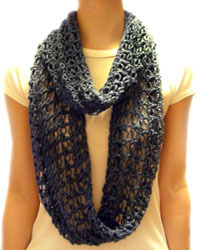 New to the Crochet Spot Store, the Lover’s Knot Loop Scarf is light weight and lacy! It’s a fun scarf for spring, but can still be warm enough for winter. 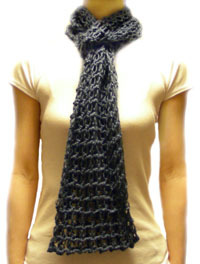 Loop scarves can be worn as fashionable loops around your neck, as a traditional scarf, or as a cowl. Size can be adjusted by using the instructions within the pattern. If you are a Crochet Spot enthusiast you may become a Premium Pattern Member, to conveniently download all the patterns in the store. Be sure to read the membership page for more information before signing up. If you are already a Premium Pattern Member, simply log into your Crochet Spot store account to download the pattern for free! Non members may purchase this pattern individually or sign up for a monthly membership. Thanks in advance for purchasing this pattern or becoming a monthly Premium Pattern Member. Your support for Crochet Spot is greatly appreciated! 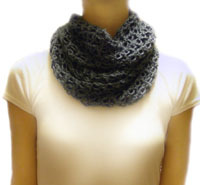 While crocheting your loop scarf, feel free to ask me for help if you need it! This entry was posted on Friday, March 19th, 2010 at 3:58 AM by Rachel Choi	and is filed under Best Crochet Patterns. You can follow any responses to this entry through the RSS 2.0 feed. You can leave a response, or trackback from your own site. This is a fun scarf! Just downloaded it and can’t wait to start. I’m going to make one for me and my sis. Amost done mine and my mom already asked me to make her one also!!! What do I look like a crocheting machine? To begin Round 2, do you first make a slip stitch in the first knot ,then make the triple crochet and knot stitch? Round 1 ends with the slip stitch, so the join happens there. Round 2 starts with the 2 knots. The first knot sort of acts like a tr.